The Keegan Theatre presents Gore Vidal’s political corker The Best Man, opening January 25 at the Andrew Keegan Theatre in Washington, DC. 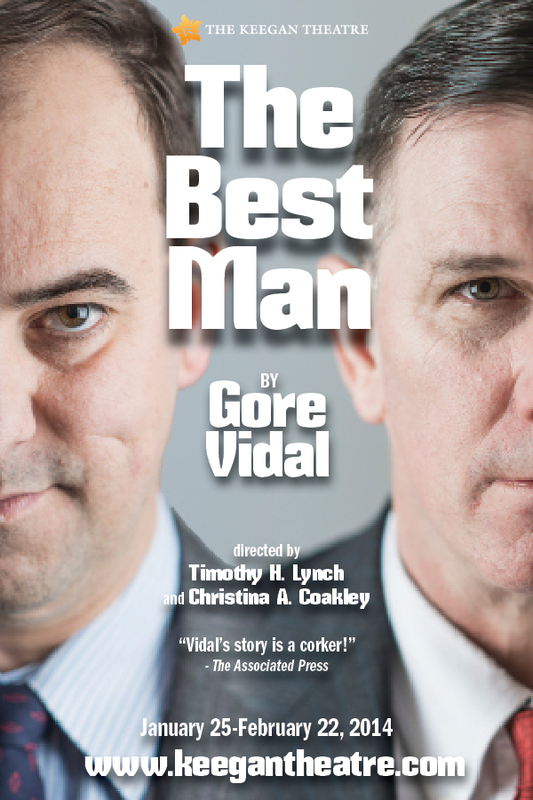 A play about power, ambition, political secrets, ruthlessness and the race for the presidency, Vidal’s The Best Man is set at the national convention where two candidates are vying for their party’s nomination during the primary season. It’s an inside look at the dirt-digging, double-dealing, triple-crossing chicanery of presidential electioneering. Filled with Vidal’s trademark verbal fire, this darkly satirical drama resonates today as an exploration of how political and personal agendas can change the destiny of a nation. The Best Man features Keegan Artistic Director Mark A. Rhea and company member Colin Smith, with Christina A. Coakley and Timothy Lynch directing. The cast includes Belen Pifel, David Jourdan, Jim Howard, Kevin Adams, Mary Andrus, Mary Egan, Nello DeBlasio, Sheri Herren, Stan Shulman, Susan Marie Rhea, Todd Baldwin, Michael Innocenti and Rena Cherry Brown. The Best Man runs through February 22, 2014. The press opening is Tuesday, January 28 at 8:00pm. The Keegan Theatre is in its 17th season in Washington, DC.